The new Samsung Galaxy Alpha is now official in South Korea bearing a price tag of 748,000 WON. While the phone belongs to the mid-range line of the devices, it has gained positive approval and acceptance worldwide as it is seen as the company’s departure from plastic build. Another thing that allowed Galaxy Alpha to gain popularity despite not being a flagship phone is its design. 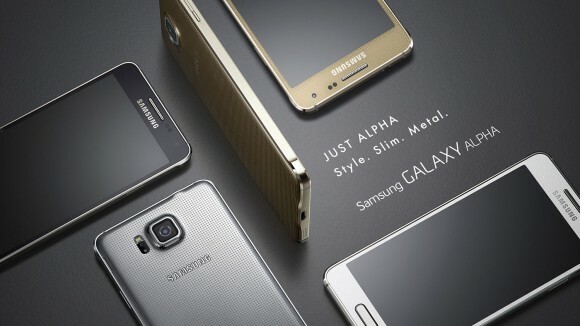 Those who are used to seeing Galaxy S (from S3 to S5) phones may be captivated by Alpha’s different design. It’s different in a good way. The phone will sport a 4.7-inch Super AMOLED display and an octa-core processor. Recent reports suggest that there will be two sets of quad-core processors clocked at different frequencies (1.8GHz and 1.3GHz). To complement its powerful processor, it’s given 2GB RAM and will run Android 4.4.4 out of the box. It will also come with features found in the Galaxy S5 like S Health, Finger Print Scanner, Private Mode, and Ultra-Power Saving Mode, which is too important considering it only has 1,806mAh battery. Photo enthusiasts and users who love taking selfies will surely enjoy Alpha as it comes with 12MP rear camera and 5MP secondary. However, with its 8GB internal storage, it is certain you’ll run out of storage space after a few weeks of use. There was no mention of microSD card slot so it is best to have a spacious cloud storage for backup.